Karl Wallinger was directly responsible for three of the most listened to albums in my life. Released over a six year span, even if he never quite replicated that peak of creative output thereafter, he has my enduring respect and admiration for his work. The first album was 1985’s This is the Sea by The Waterboys. Wallinger had been brought into Mike Scott’s band in 1983 and after impressing with his contributions on the first album, was given a greater role in the next album, writing the song “Don’t Bang the Drum” and helping The Waterboys record, far and away, their best album and one of the best LPs of the decade. Realizing that the potential of his talent and creativity wasn’t going to be achieved within the band, Wallinger set out on his own. And though The Waterboys have released some fine albums after, they definitely lost something with Karl gone from mix. 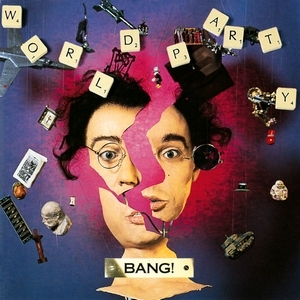 The second album I obsessed over was the first released under Wallinger’s solo moniker, World Party. Karl had tried his hand before in bands during his early attempts at a music career coming out of his hometown of Prestatyn, Wales. One band early in his career and pre-Waterboys was with Dave Sharp and Nigel Twist who went on to be members of The Alarm (with Mike Peters, also from Prestatyn). Now on his own, Wallinger wrote all the songs except for two on 1986’s Private Revolution, with one co-written by Stephen Wickham (of The Waterboys) and the other a cover of Bob Dylan’s “All I Really Want to Do.” He also played most of the instruments combined with many guests as the songs mixed funk, folk, rock, and many impeccable blends of rhythm and melody. It was an album that took a few listens to absorb and realize the depth of what it had to offer. I was at first put off the by title track, disliking its strong Prince vibe (though it included backing vocals from an unknown young Irish singer, Sinead O’Connor), but over time came to love it. It was “Ship of Fools” that was instantly recognizable as a brilliant song and that anchored the album. Featuring The Waterboys’ Anto Thistlethwaite on sax the song had a sublime transition from verse to chorus that unleashed the glorious, wailing title lyric, “Ohhhh Save me, Save me from tomorrow, I don’t want to sail with this ship of fools…” Though it was Karl’s greatest success, reaching #42 in the UK Singles Chart and #5 in the US Rock chart, it was a mostly overlooked song of the era. The album also had the song “It Can Be Beautiful (Sometimes),” an achingly beautiful, quiet song that I requested for Dani Elwell’s late night radio show on CFNY, The Alternative Bedtime Hour. I wrote her a letter requesting the song, to which she wrote back and obliged by playing the song on the show – the only time I’ve ever had a request played on the radio. 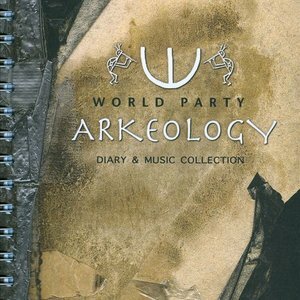 In 1990 World Party released its second album, Goodbye Jumbo, the third of the string of albums that owned my stereo. The world was getting turned on again to rock n’ roll after it had taken a back seat to a variety of other forms for a decade, save for the glam metal of the American rock scene (though the less said about that the better). While grunge would emerge as rock’s saviour for the new decade, the door was opened for more straightforward rock tunes to gain exposure, a benefit that would culminate into the Britpop scene a few years later. The first signal of this was the song, “Way Down Now,” a brilliant romp of Beatles-meets-Rolling Stones good old fashioned rock n’ roll. Indeed, the first couple times I heard it on the radio, I wondered if it was a new tune from Mick and Keith. And every time I heard that screeching guitar intro my pulse quickened and I cranked the radio. 1990 was an incredible year for modern rock, and that song was a big reason why. Goodbye Jumbo failed to grow the World Party’s audience, despite “Way Down Now” and “Put the Message in the Box” charting reasonably well. The album had a strong Beatles sound as Wallinger had a penchant for wearing his influences on his sleeve. There wasn’t a bad song on the album, again mixing a pop-rock sound with elements of gospel, funk, folk, and soul. Wallinger brought David Catlin-Birch on guitar and ex-Icicle Works drummer Chris Sharrock on as full-time members for the third album (they had guested on the previous LP), making World Party a true band (though all the songs were still written by Karl). The result was 1993’s Bang! Though not as consistent as the previous albums and overall less engaging and thrilling as Goodbye Jumbo, it did include the fantastic pop song, “Is It Like Today?” Again mixing Prince and The Beatles, similar to Private Revolution, the album was less accessible than the prior ones and less successful. 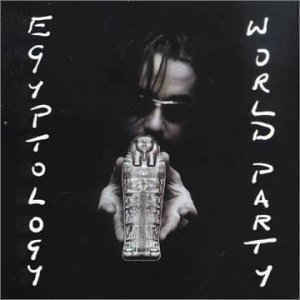 In 1994 World Party had a song on the Reality Bites soundtrack, “When You Come Back to Me,” in which Karl again paid tribute to one of his heroes with a sax sound that replicated that of Bowie’s “Young Americans.” It would be a few more years before the next album, Egyptology, and with that unable to gain much prominence World Party and Karl Wallinger faded from view. There would be one more album in 2000, Dumbing Up, before Wallinger was laid-up by a brain aneurysm in 2001 that left him unable to speak and partially blind. It took five years of rehab before he could play and record again, but to date has never issued another proper album. The closest we’ve gotten was a sprawling box set of demos, outtakes, unreleased tracks, and alternative recordings of his old songs on 2012’s Arkeology. If there’s one complaint, and perhaps this was his downfall, was that while having a distinctive voice, Wallinger’s singing could often weaken the songs, especially when going soft or falsetto. When he sang in his range and forcefully, he had a good singing voice, but there weren’t enough occasions in which he did that. Also, for a guy that could write powerful hooks and rockers there also wasn’t nearly enough of those elements. It’s telling that his two best songs, “Ship of Fools” and “Way Down Now,” were two of his most original. When so much of his music reminded you, blatantly, of something else, it tended to undermine the appreciation of what he’d written. But these shortcomings are slight when compared to the quality of the song writing and the depth of the musicianship in the songs. 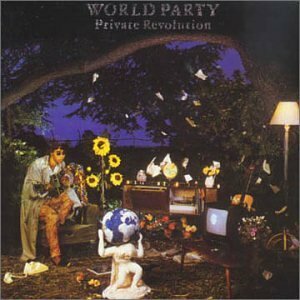 You could drop the needle anywhere on a World Party album and be rewarded. Karl Wallinger still tours occasionally (he last made a round through the US in 2015) and will be noted in modern rock history as an amazing artist, and World Party as a significant contributor from 1986 to 1993. And though never highly commercially successful, the first two albums are classics and when combined with The Waterboys’ This is the Sea, Wallinger can lay claim to three of the best albums of that era.